In February, a new Somali president was elected. His name is Mohamed Abdullahi Farmajo. He was a former prime minister and U.S. dual citizen. Mohamud ran for president in 2012 but withdrew from the ballot after losing by a high margin in the second round. Mohamud brings hope to the country of Somalia. 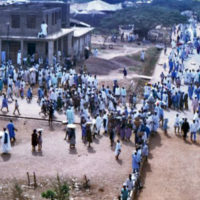 Ever since 1991, when Islamic Extremists toppled dictator Sia Barre, the country has been in a political vacuum, creating a civil war. USA Today explains, “He brings hope to the country, which has been disintegrating since 1991, when warlords ousted dictator Siad Barre, then plunged the nation into civil war. In the intervening years, militants took advantage of the political vacuum.” President Hassan Sheikh Mohamud is known for the eight months he spent as prime minister. When asked to step down, people took to the streets of Mogadishu requesting that he stay as prime minister. The Washington Post states, “He brings hope to the country, which has been disintegrating since 1991, when warlords ousted dictator Siad Barre, then plunged the nation into civil war. In the intervening years, militants took advantage of the political vacuum.” Formaju was born in Mogadishu. He worked in the Somali Embassy in Washington. At first he decided not to go back to Somalia because of the political turmoil. Nik Ripken was a missionary in Somalia until he realized the threat to his life. After this, he traveled to different countries to see how persecuted Christians dealt with the difficulties they face. Pray for the new government to have wisdom. Pray for an end to the civil war. Pray for many in Somalia to know Christ’s hope somehow. USA Today: Who is Somalia’s new president? This entry was posted in News and tagged Nik Ripken Ministries, Somalia. Bookmark the permalink.